Wallpaper made by me in photoshop cs3, using scan dowloaded from MiniTokyo, also used grunge_borders_brush, downloaded from Deviantart. OMG! Thats the only thing i can say right now! OMG! That's hawt. Like the colors too. 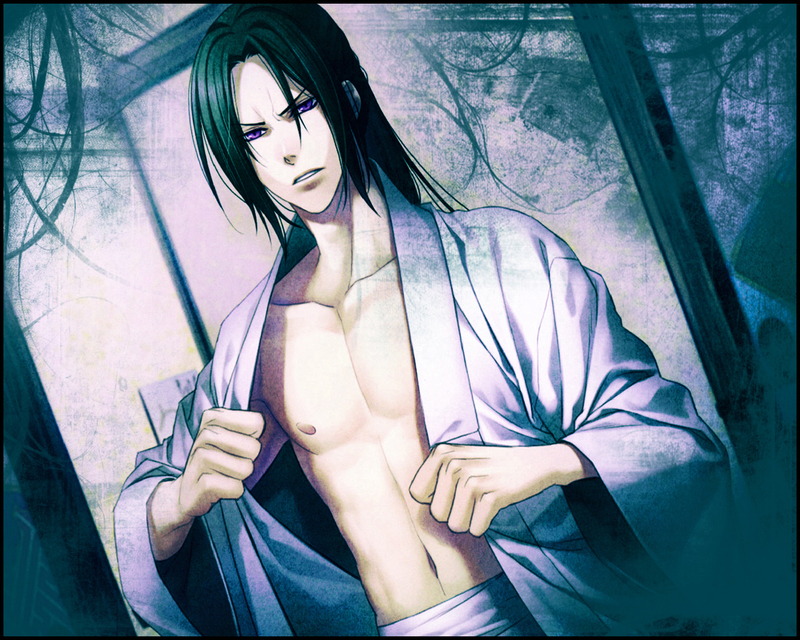 yes, hijikata-san~ take it al OFF FOR US!